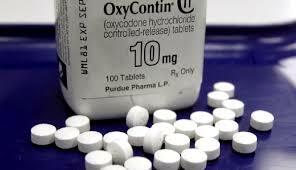 The $270 million settlement that the makers of Oxycontin agreed to in Oklahoma is a good sign for litigators across the country fighting the opioid crisis. Brad Altman is representing Wichita County and other Texoma counties that have taken action against multiple manufacturers like the Purdue Pharma. “The evidence is beginning to form a really strong picture just exactly how the Sackler family decided how they could really monetize getting folks addicted to opiates,” Altman said about their findings so far. More details about the lawsuit can be found here.